The South African sugar industry is crossing its fingers that Finance Minister, Tito Mboweni, does not increase the sugar tax, officially called the Sugary Beverage Levy, when he delivers his first budget speech on Wednesday. The sugar tax came into effect in April last year. 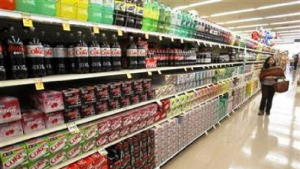 The industry claims sugar tax is costing the industry about R1 billion a year. South African Sugar Association chairperson, Hans Hackmann, says if the sugar tax was to go up, it would collapse the sugar industry. The post SA sugar industry hopeful tax does not increase appeared first on SABC News – Breaking news, special reports, world, business, sport coverage of all South African current events. Africa's news leader..